A classic Christmas tradition, this 6.5" Red Poinsettia in Ceramic Pot is a fun, festive addition to any holiday celebration! Before becoming a worldwide Christmas tradition, the poinsettia was once used by the Aztecs in Mexico to produce colorful dyes. Later in the 17th century, Franciscan friars began displaying the plants in their holiday celebrations--and the rest is history! 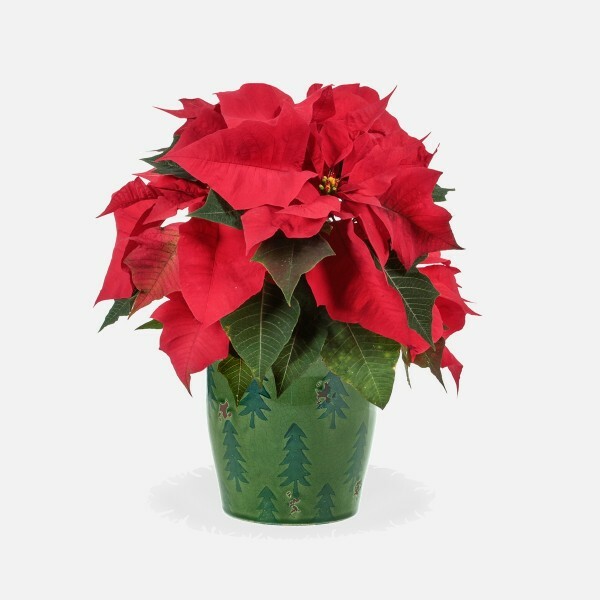 This 6.5" Red Poinsettia in Ceramic Pot is a fun, festive addition to any holiday celebration! Bright, indirect light is best for long-term growth but can tolerate extended periods of low light when used as a holiday decoration. Keep soil evenly moist, which may require checking daily if in warm or dry spaces. Mist leaves often and do not let the plant sit in standing water if kept in a foil wrapper. Easy to care for during the holidays. Just make sure the soil doesn't dry out and the plant isn't exposed to cold temperatures. Keeping the plant year-round requires extra attention. 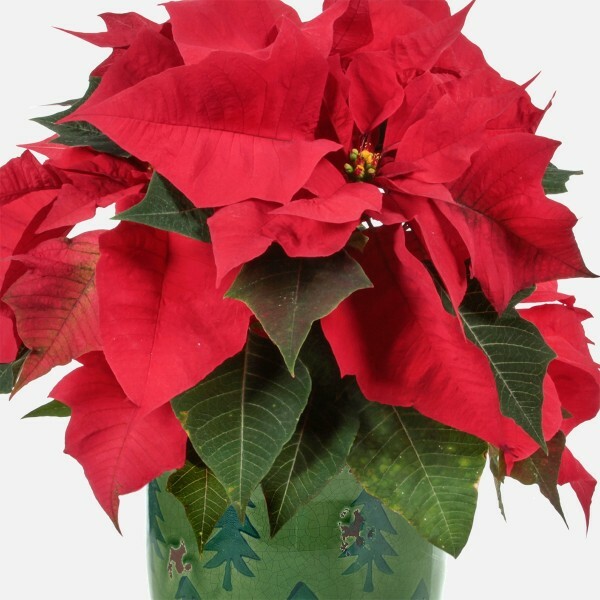 Poinsettias remove toxins that can build up in indoor spaces. A general rule of thumb is 1 medium houseplant per 100 square feet of space effectively cleans the air we breathe.  Feed with a liquid, indoor plant fertilizer about 1-2 times a month during the growing season (May through October). Do not fertilize in winter. Common household temperatures between 65 and 75 degrees Fahrenheit are best. Avoid drafty windows and air conditioners as dramatic drops in temperature will cause premature wilting. Use a well-draining, All-Purpose potting soil. Prune damaged leaves by cutting to the leaf node. Propagation is difficult outside of greenhouse settings. Sorry! While poinsettias are generally overrated in terms of toxicity, they can cause mild indigestion and mouth irritation if ingested. Sap may also irritate skin.